However, if the catalysts used in conventional SOFCs use hydrocarbon-based fuels, their performance drops drastically. This is because the surface of the catalyst is contaminated with carbon or sulfur contained in the hydrocarbon-based fuel, thereby deteriorating performance. To address this, additional processes were needed to add catalyst-enhancing materials. The research team has solved the problem with a new catalyst designed with a layered perovskite structure. At the core of this research is to build a bi-layer perovskite structure (cobalt, nickel) that helps the chemical reactions necessary for electrical production, and when the fuel cell operates, it forms by itself. "Cobalt and nickel are known to be effective catalytic materials for the operation of SOFCs," says Ohhun Kwon in the Combined M.S./Ph.D. of Energy and Chemical Engineering at UNIST, the first author of this study. "Previously, these materials were added to make the electrodes, while the new catalysts remained in performance as they formed a cobalt-nickel alloy. The catalysts developed by the researchers use methane gas directly as a fuel and operate stably with no current drop for more than 500 hours. Additionally, the reaction efficiency of the catalyst is four times higher than that of the previously reported catalyst. 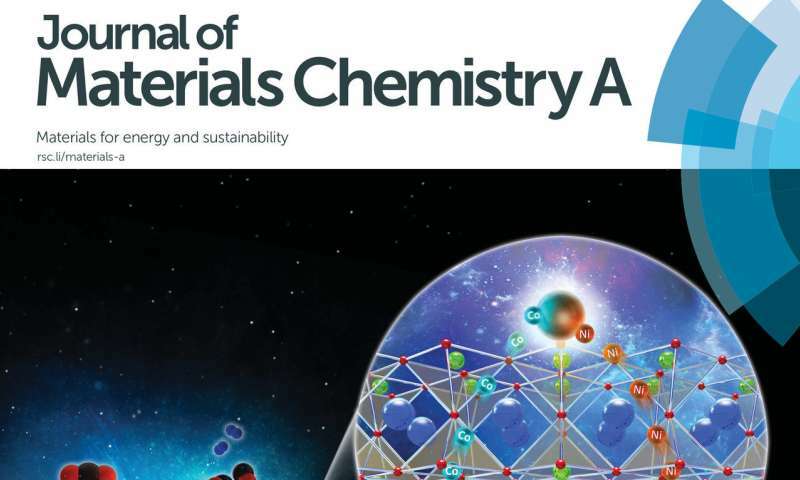 "The existing SOFC anode material (catalyst) was not able to operate reliably for a long time, even though it showed high performance initially when using hydrocarbon fuel directly," says Professor Kim who led the study. The newly developed metal alloy catalyst has excellent catalytic performance, which will greatly contribute to the popularization of fuel cells.